Unlike The Rose or the St Helier Arms, the Surrey Arms is still standing and advertises itself as an attractive pub, proud of its large selection of traditional beers and wines. On Saturday nights the public house serves live music with its ales. 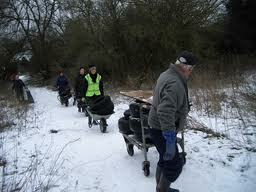 The River Wandle flows north from Croydon and Carshalton to join the Thames at Wandsworth. 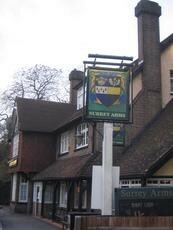 The Surrey Arms is situated 0.6 miles from central Morden close to Morden Hall Park and the river, and as a result, it has become a popular pub for walkers following the Wandle Trail. This page was added by Carol Smiles on 11/09/2010.